I watched the final episode of the BBC adaptation of Wolf Hall last night, a few days after the initial flurry of internet activity following the events that we all knew would bookend the short series. The final moments of the final episode have stayed with me, and I woke up still feeling slightly disturbed and emotional by the way everything played out. At the same time I feel desperate for more - surely the author, Hilary Mantel, can release the final book 'The Mirror and the Light' a little early for us? 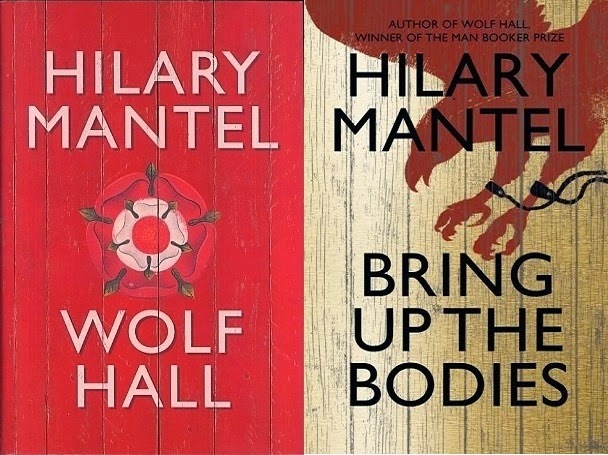 The ending of the series 'Wolf Hall' - a combined adaptation of Mantel's first two Cromwell novels, reminded me why I liked the books so much, and compelled me to write about them. Before I wax a little lyrical about the books, I first need to talk about the BBC series, in the hope that a little of my distress and obsession will transfer to this page. I came for Mark Rylance, I stayed for Claire Foy - in a nutshell. I was hooked from episode 1, mainly because of the pitch perfect, understated performance of Mark Rylance as Thomas Cromwell - the wisest casting choice in recent memory, particularly given that Rylance is hardly a household name. I found some of the strongest scenes throughout the series were wordless Cromwell reaction shots - particularly during the death of his wife and daughters. However, as I said, it was all about Claire Foy as Anne Boleyn for me. I was nervous about her casting as I disliked her in the film 'Wreckers' so much and found her a little soft and bland. I was an idiot - she is perfect. She is beautiful, but cold, and ambitious, but desperate - when Anne flirts, which she often does, the viewer gets the feeling that it would be dangerous not to flirt back. As I watched each episode I hated her more and more, respected her more and more, and was still scared of her as she was sentenced to death. It is a testament to the director and actors, including Damian Lewis as Henry VIII, that the series was so addictive despite being unpatronisingly well written, realistically dimly lit, and despite the fact that we all knew exactly what was coming! The finest scenes of all, and the ones which touched me so deeply, were the last ones of the series. We saw the inevitable downfall and execution of Anne - somehow simultaneously beautiful, realistic and haunting. If it were up to me I would shower Claire Foy with awards just for this scene - it was extremely difficult to watch, as a beheading should be. The skill and sensitivity of the executioner, and the blood soaked dresses of her dedicated ladies in waiting as they carried her away by themselves was very well done by the director, and very unsettling indeed. Before the episode faded to black we saw King Henry VIII smiling ecstatically as he was told of his former wife's demise, hugging Thomas Cromwell for all his hard work. As the camera pans around to Cromwell's face we see that he is completely lacking in emotion - dead behind the eyes after selling his soul to meet the kings demands. Hopefully we will get a second series upon the publication of the final book in the trilogy, but even before that happens, the look on Cromwell's face is the perfect foreshadowing of his own fate - and the viewer gets the feeling that he may well know what is coming himself. Unusually for me, it is the television series rather than the (genuinely wonderful) books that I feel like obsessing over right now. The glorious series it too fresh in my mind - my bookish judgement is clouded. If you liked the series you will surely also like the book, as a lot of dialogue is lifted directly from the pages, and we get a more complex narrative from the books (predictably). In my mind the book is always better as I prefer to draw my own conclusions and use my imagination (the BBC series actually did allow us a lot of freedom to draw our own conclusions - which is part of what made it a step above other adaptations), and this is no exception - it is beautifully written, and has just the right amount of historical accuracy and artistic license. The third book of the trilogy, 'The Mirror and the Light' is apparently due to be released this year. A lot of the juicy, exciting stuff should be in the final book, despite the death of Anne Boleyn being hugely, disturbingly, iconic - the death of the illegitimate son Henry FitzRoy, opposition against Cromwell's reforms, the King's marriage to Jane Seymour and the birth of a son, the third Queen's death, and.....the downfall of Cromwell. 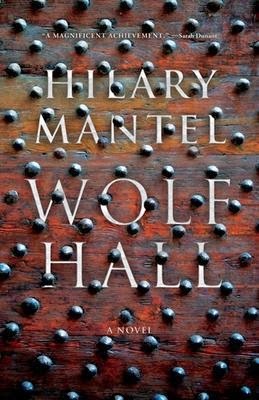 I am just hoping Mantel does pull a George R. R. Martin on us - I cant take any more waiting. Read the books if: you enjoyed the series and are thirsty for more/you crave authenticity in books with a historic setting/you like your drama, death and deception to be removed from our version of reality/you take joy from prose as well as narrative/you want a book that finally lives up to its own hype/you feel the burden of modern day stresses/you are tired of empty small talk in general/you are ambitious.